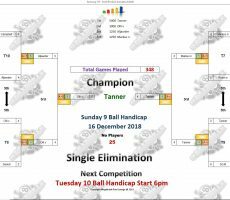 SUNDAY 9 BALL – 16th DECEMBER : TANNER WINS. 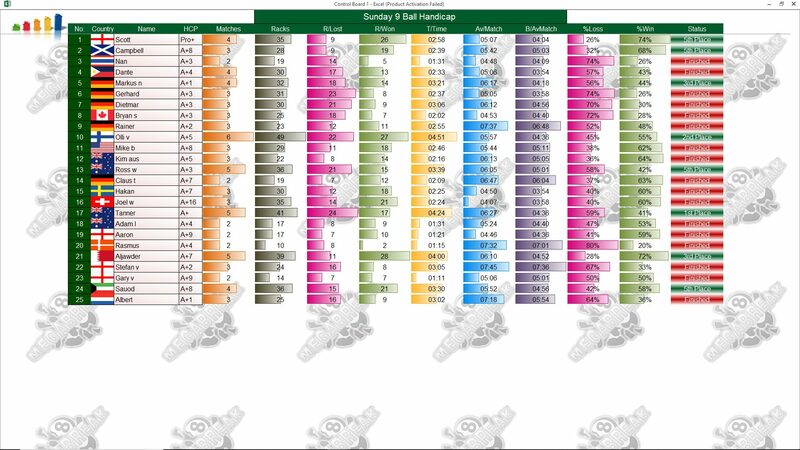 Australia’s Steve Tanner was the winner of our Sunday 9 Ball Competition earlier this week. 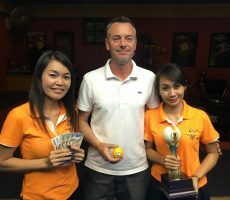 Playing in his first final here in his 8th tournament, he took advantage of a lenient handicap mark to play consistently well all night long and claim the 1st Prize of 5000 baht. 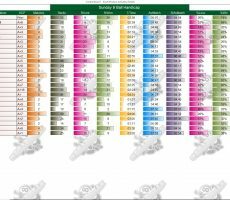 In the final he beat another first time finalist, Olli Virtanen from Finland, 4-7 in racks (race 4-9) and his handicap now moves up to A+1 as a result. 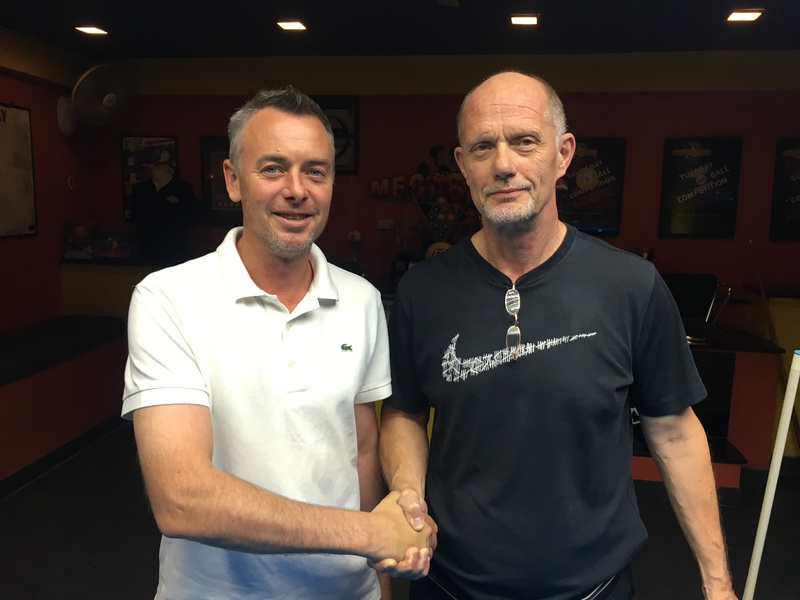 Olli, who was playing here for the 9th time, also played well to reach the final before finding the handicap too much against our champion, and took home 3000 baht in 2nd Place. The other money winners on the evening were new player Aljawder Jehad from Bahrain and Germany’s Markus Nolberczak who each received 1250 baht as losing semi-finalists. 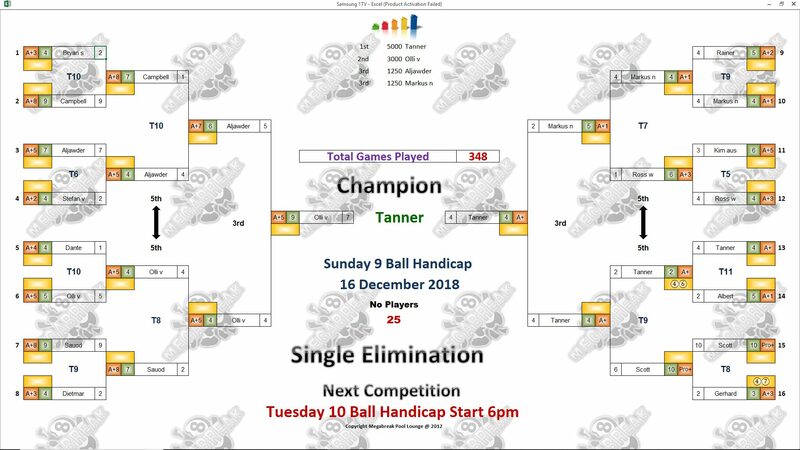 Champion : Tanner (A+) – 5000 baht. 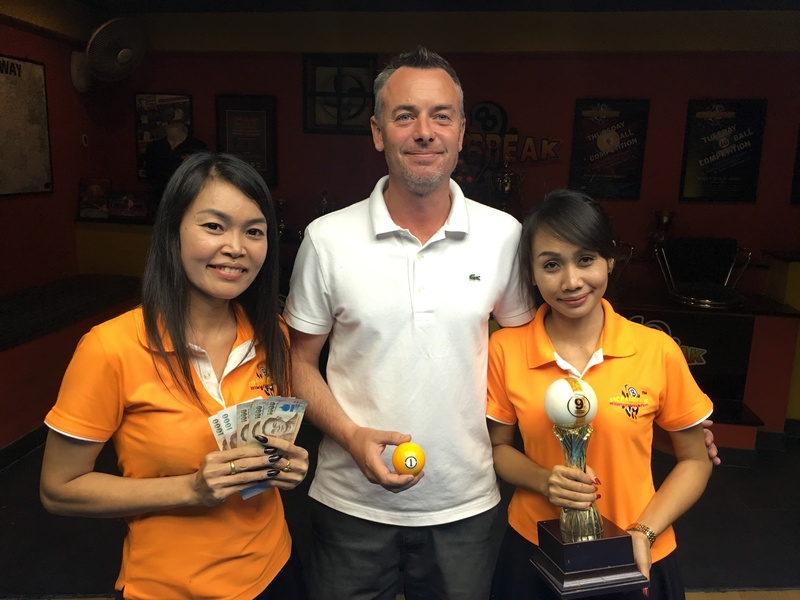 Runner-Up : Olli (A+5) – 3000 baht. 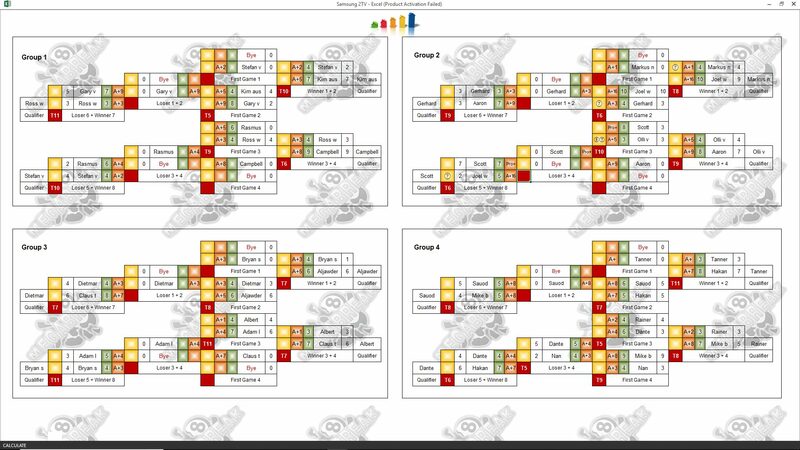 Semi-finalists : Aljawder (A+7) and Markus (A+1) – 1250 baht each. The Player Auction Prize Fund totalled 17000 baht and was won by Tanner’s friend Adam Lux. He paid just 800 baht for our winner and they shared the 1st Payout of 6500. 1st : Adam (Tanner) – 6500 baht. 2nd : Olli (Himself) – 4800 baht. 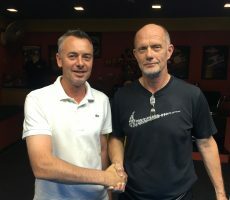 Equal 3rd : Tanner (Aljawder) and David Chalmers (Markus) – 2400 baht each.